Wires aren’t feeling so well these days. Wireless this, wireless that, everyone wants to get rid of their wires. You’d think this to not be good news for our friends at Belden, global wire manufacturers. 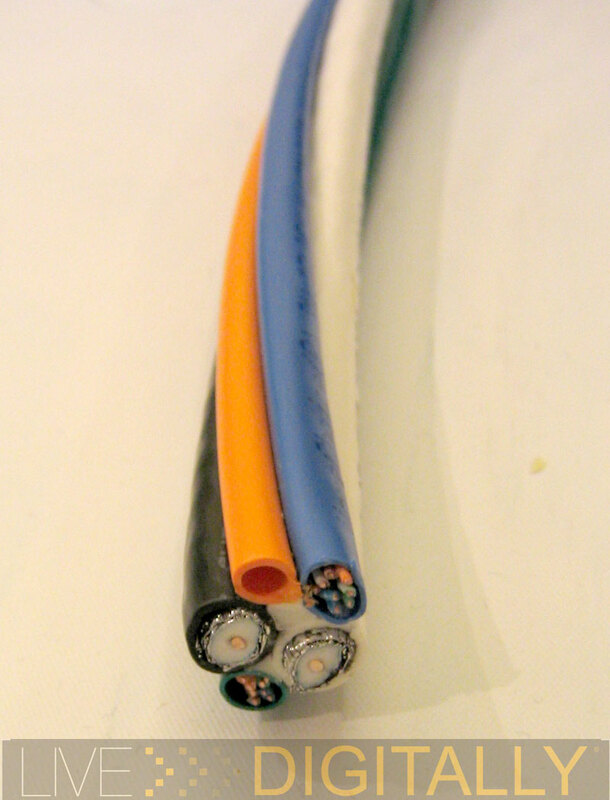 But as much as we’d like to free ourselves from wires, the need for quality wires will not go away just that easy. I visited the Belden booth at the Connections Conference unsure what I would find from a company that makes such a simple product. Was I wrong. I approached the booth and said “So you guys just make wires eh? Which one is your favorite?” The Belden woman pointed directly to a bundle and called it the banana bundle. 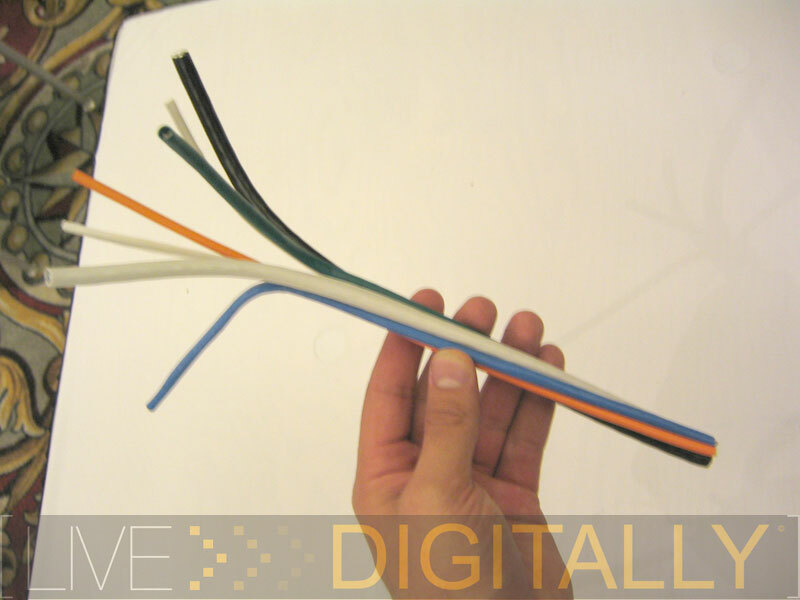 She grabbed a 12” section which had two Cat5, two Coax, and one fiber wire all bundled together. The part that tickled my fancy was the fact that there was no thick external shell encasing these wires, rather a small sticky inner piece that held them together. I’ve wired cars, houses, apartments, and dorm rooms, I for one can appreciate a high quality wire. The fact that this was high quality non-PVC wire, bundled neatly and ready to be peeled for the perfect wiring job captivated me. I wonder how the zippy tie industry is taking this banana bundle news?